The shooting of 17-year-old Laquan McDonald two years ago, on Oct. 20, 2014, has become the defining moment of a mayor, his police force, the criminal justice system and a city that for decades resisted with all its might the notion that a code of silence dictated who got justice and who did not. Even Jamie Kalven, the independent Chicago journalist who first broke the story of the 2014 killing of the teenager, shot 16 times by Officer Jason Van Dyke, admits being stunned at it's impact. "It is extraordinary," he said this week. "I’ve never seen anything like it. I couldn’t have imagined it." Alderman Pat O'Connor, Rahm Emanuel's City Council floor leader, does not disagree. In the wake of the Laquan McDonald shooting, Mayor Emanuel has promised to change the Independent Police Review Authority. Now, details begin to emerge. 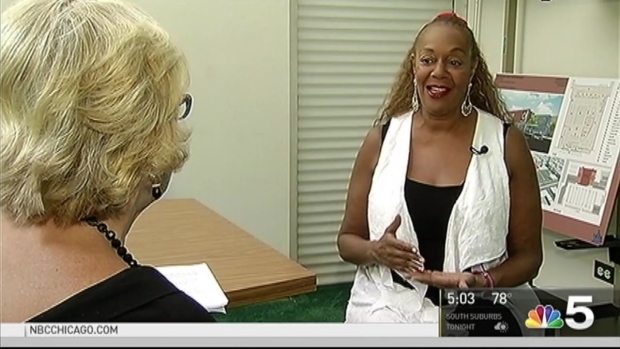 NBC5's Mary Ann Ahern reports. "I think it has changed, definitely changed the way the city operates going forward," O'Connor said in an interview in his City Hall office. A kid with a knife — according to the now discredited official version — who was out of control. "He lunged at police," asserted Fraternal Order of Police spokesman Pat Camden on the scene that night. Ultimately, police dash cam video would prove that not to be true. It was something City Hall and CPD knew within hours of Laquan McDonald's death. But the general public did not. Not until a year later, November of 2015, when a Cook County judge ordered the release of the video. "Everybody saw in a very incredible way this young man being shot," O'Connor said. "It has affected not just questions of police accountability and police-community relations but really every dimension of our public life in Chicago," Kalven said. The ramifications were immense. Police Superintendent Garry McCarthy was fired. State's Attorney Anita Alvarez voted out of office. Officer Jason Van Dyke was charged with murder and entered a plea of not guilty. Police reports showed a cavalier attitude by higher ups signing off on police reports that proved untrue. Federal prosecutors began to probe. The Justice Department opened a pattern and practice investigation. And the mayor was humbled as his popularity plunged. "I know that the city’s efforts have been an honest attempt to make sure that we are making changes," Pat O’Connor argues. And there have been structural changes. The Independent Police Review Authority, tasked with probing police shootings, was cast aside in favor of the Civilian Office of Police Accountability. But perhaps most significantly, police video evidence is to be released publicly within 60 days. In McDonald’s case it took 13 months for the city to be forced by a Cook County judge to release the damning pictures. But it is how the system works — and worked the night of October 20, 2014 — that most concerns the journalist Jamie Kalven. What took place, he argues, went far beyond a cover-up. "A cover-up would be a matter of a relatively small number of people conspiratorially suppressing something,” he said, adding he thinks this “is the way our institutions work. And I think we are all reckoning with that." Laquan’s death at the hands of Jason Van Dyke was a brutal and senseless act of violence. Time has not dulled the pain of this tragic loss to his mother, his sister and the rest of his extended family. We thank all of the people who have honored Laquan’s memory and continue to advocate for police reform. We look forward to the day when Jason Van Dyke will be held responsible for Laquan’s senseless murder and everyone involved in trying to cover up this criminal act is held accountable. Only then will justice truly be served. Today, two special prosecutors and the U.S. Department of Justice continue to investigate. 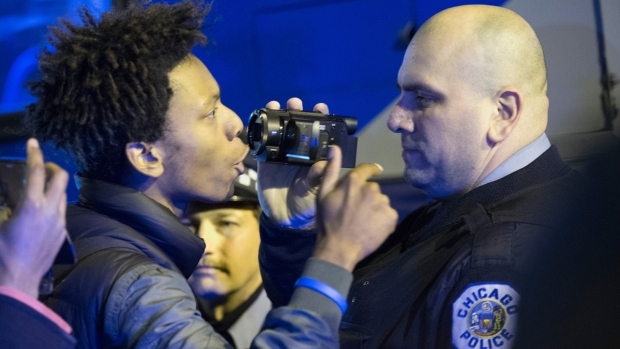 As defining moments go, the case of Laquan McDonald still grips Chicago.